We are located in Indianapolis, Indiana on the West side of the city. 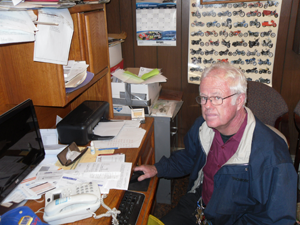 We have been running our auto repair shop here in Indy for over 38 years. In 1973, our car repair business began, and since then, we have remained committed to providing the finest quality car repair services in the city. Since our beginning, we have also been proud of adding new services at our auto repair shop, like towing services, boat repairs, and more. We are a well-defined and highly trained group of auto mechanics that share a passion for cars of all makes and models. Call us today at 317-244-2121 for more information on our car repair services in Indianapolis, Indiana.